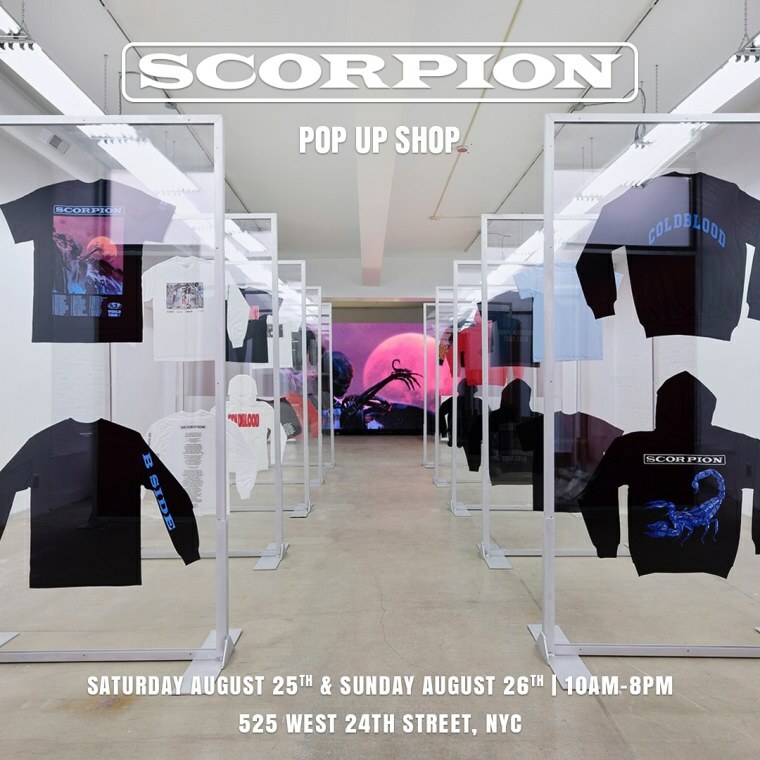 While Drake heads to New York City to kick off a seven show run over the course of a week, a Scorpion-themed pop-up shop will also open in NYC beginning Saturday August 25. 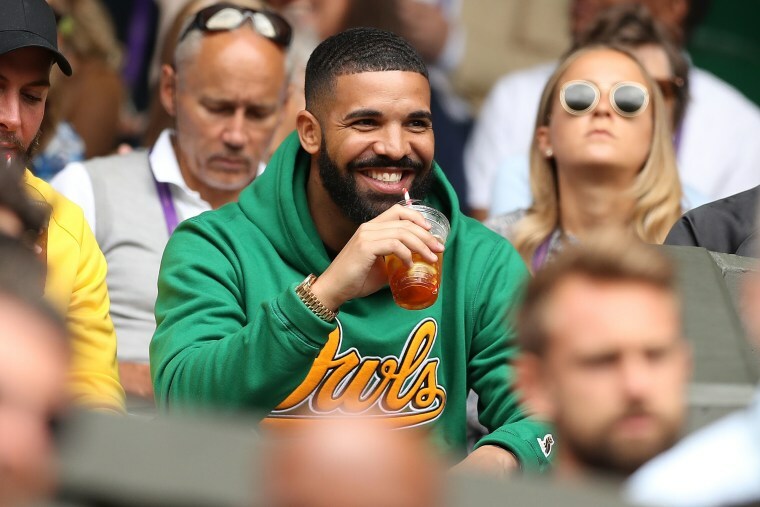 Housing different tour merch than the actual venue (Madison Square Garden) that Drake will perform in, the pop-up shop will feature a run of satin jackets, tour date-labeled tees, and Scorpion-printed hoodies and sweaters. 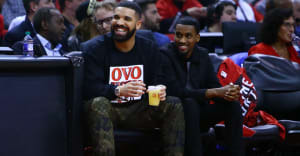 Drake will kick off his NYC run of his tour beginning on Friday at Madison Square Garden, before transitioning to Brooklyn to perform at the Barclays Center from Thursday August 30 until September 1. The Scorpion pop up shops will be open at 525 W 24th street in NYC, from 10 a.m. until 8 p.m. EST on Saturday and Sunday. Peep some of the upcoming merch pieces below.